Panel-loading main compartment offers plenty of room for gear and clothing. Dual side mesh water bottle pockets to keep bottles from bouncing around. 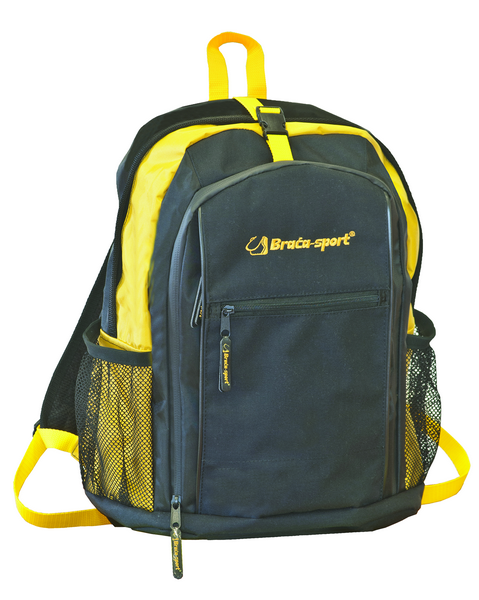 Adjustable padded shoulder straps and padded backpanel offer load-carrying comfort.